It is one of my favorite side dishes. I could eat it all the time. This tastes similar to the coleslaw you can get at KFC. I got it from a copycat recipe book with a few changes of my own. The best way to chop up your cabbage and carrot is to use a large knife. It is really easy to use a food processor, but the cabbage turns out mushy. If you have an old hand grater, that will work too. Put the cabbage and carrot in a large mixing bowl. In a small bowl, combine the sugar, salt, pepper, milk, mayonnaise, buttermilk, vinegar, and lemon juice. Whisk until smooth. Pour that over the cabbage and mix well. 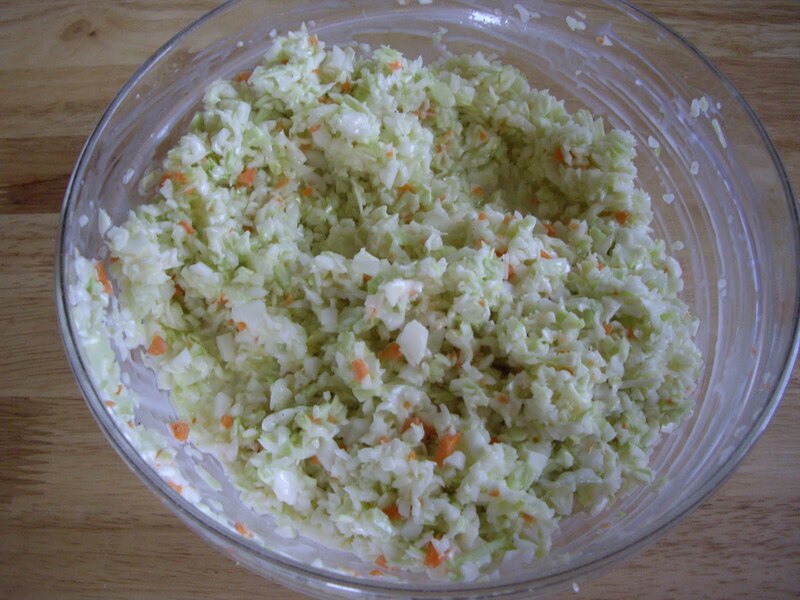 Cover and refrigerate the coleslaw for at least 3 hours before serving. The longer you can let it sit, the better the flavor. You will get 8 servings.